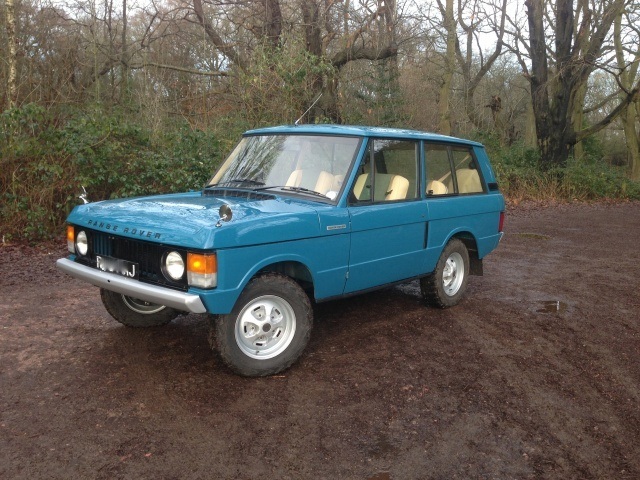 The 1970 Range Rover is a classic vehicle which is collected and restored by many classic vehicle enthusiasts. We offer experienced Range Rover restorations by our team of specialists. At Churchill 4x4, our Body Shop and Refurbishment team will be completely transparent with the work required. If we examine your vehicle and feel like it will cost you £25K to do a full body-off restoration that is the exact figure you will get from us. We do not give underestimates to lure you into work then increase it while on the job. You can call our office to enquire anything pertaining to costs. There are just a handful of 1970 Range Rovers that are still intact and in perfect shape. However, many vehicles can be refurbished, brought back to life and you can drive them like new for many years to come. The age and present condition doesn’t matter. Any Range Rover can be restored and look brand new. What you need to consider first is if financially, it is a good idea. We have been in this industry for a long time and our expertise can advise you on the best way forward. We are aware that every model and brand has its own points of weakness. With a slight look at some car models, we know if it needs updates, replacements and remodelling of a few things here and there. We aren’t trying to deter you from the idea. We want to give authentic information about what is possible. When you look through the magazines-the classifieds section, there are many uncompleted projects. The reason they up for sale is because the cost of completion was way higher than expected by the owner. We have a series of services to offer for the Range Rover Classic. It ranges from servicing to restoration and original rebuilds. After the body shell structure has been examined and welded and confirmed to be perfect, the body is removed from the chassis by our restorations. Our professional technicians are responsible for building reborn Range Rover as part of the full restorations. The bodyshell of a rust free Range Rover is what we take and remove all the misfits and all this is done by hand. The axles and chassis are prepared in the same way before the new braking, drive suspension and motive parts are fitted. Each item is either replaced or refurbished. On completion, refitting the bodyshell is done and we begin building the car with well-levelled body panels, rust free doors, a heated windscreen and a refurbished wiring loom. It later is completed to your preference and undergoes at least 500 miles on road test. After everything is done to perfection, sealing and protecting the seams of the bodyshell follows. Rubberising the wheel arches are done for soundproofing and protection and before paint, it is painted an acid etched primer. The bodyshell is fully painted in high standards incomparable to what is done in the factory.